Here’s what’s of interest from Marvel in July 2015. A full list of solicitations are available here. Yes, Marvel’s “Secret Wars”/”Battleworld” thingamajig is still in full swing, so most of what I listed seems to ignore/not heavily tie into such far as I can tell. 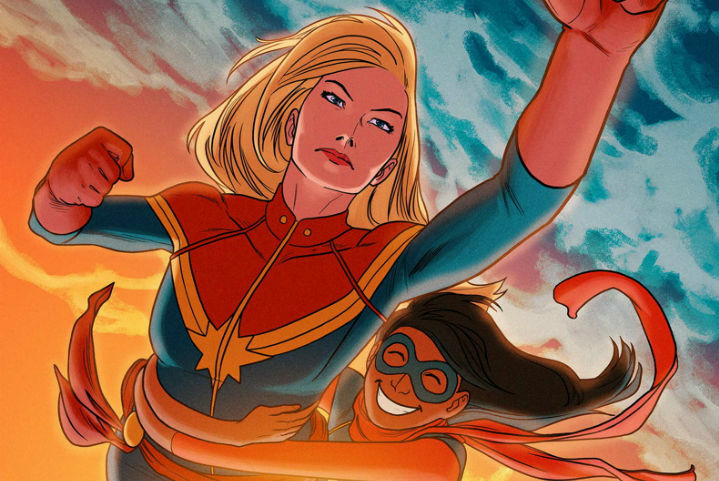 Ms. Marvel sees a team-up with Captain Marvel herself. Trade paperbacks of note this month include a reprint of the “Agent Carter” miniseries Marvel published, as well as trades for various popular titles. One oddity I’ve noticed, however, is that most of the trades I looked at tend to reprint just four or five issues, which feels a bit short.